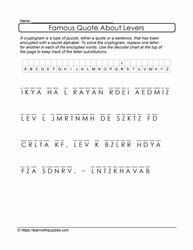 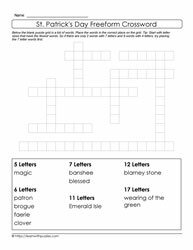 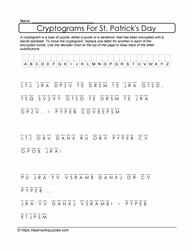 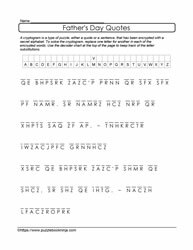 Here are cryptogram puzzles to activate problem solving skills, challenge the brain and to keep things fun. 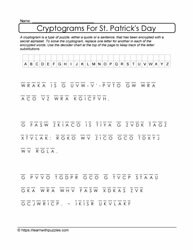 Based on either an encrypted alphabet code or using letter-number substitutions, cryptograms are a great what to challenge students at all levels. 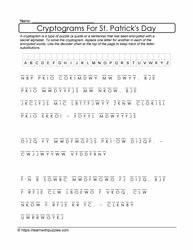 Adults also benefit from solving cryptograms. 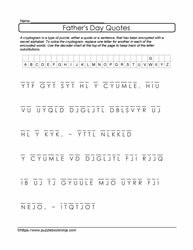 Use the table on each puzzle to record the letter substitutions. 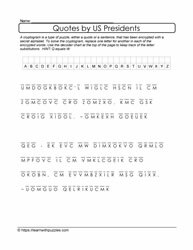 Watch this category page for more cryptic quotes!